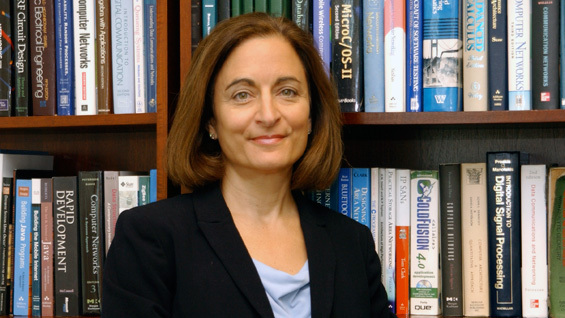 It is with great pleasure that I announce the appointment of Dr. Teresa A. Dahlberg as the new Dean of the Albert Nerken School of Engineering at The Cooper Union for the Advancement of Science and Art, effective August 5, 2013. Currently the Associate Dean, College of Computing and Informatics at the University of North Carolina (UNC) Charlotte, Dr. Dahlberg brings to her new position a rare combination of scientific, academic, business and research experience. She is also well known for forming strategic partnerships having created a national organization, the STARS Computing Corps, to engage upcoming students for entry and success in college computing programs. Among her many accomplishments at UNC Charlotte, Dr. Dahlberg has been a leading faculty member in the institution’s recent transformation. She was recruited into the Computer Science Department in 2000 with the formation of the new College of Information Technology (later renamed the College of Computing and Informatics). Dahlberg was instrumental in creating new programs, securing grants and raising the national visibility of UNC Charlotte. She has attracted over $20 million in external grants as Principal or Co-Principal Investigator. Dr. Dahlberg is Founder and Director of the STARS Alliance (2005, later renamed the STARS Computing Corps) a national consortium of diverse colleges and universities with a mission to develop technology leaders and broaden participation through student-led regional engagement. Funded by the National Science Foundation, 50 colleges and universities have adopted the STARS Computing Corps leadership program whereby college students collaborate with regional K-12 schools, industry and community partners to inform, engage and prepare students for higher education in college-level computing programs. Dr. Dahlberg received her Bachelor of Science degree in Electrical Engineering from the University of Pittsburgh in 1984. She completed her M.S. (1990) and her Ph.D. (1993) in Computer Engineering at North Carolina State University. She began her career at the IBM Corporation from 1984 until 1994 as Engineer, Display Products Division and then Staff Engineer in the Banking Systems Division. She joined UNC Charlotte in 1995 as an Assistant Professor of Electrical Engineering and has since served in a number of academic and leadership roles at UNC Charlotte, including Professor, Computer Science; Provost’s Faculty Fellow, Academic Affairs and Founding Director of the Diversity in Information Technology Institute. Dr. Dahlberg served with the National Science Foundation as an Expert in the Computer Information Science and Engineering (CISE) Directorate (2011) and is a Member of the CISE Advisory Committee (2011-2013). Dr. Dahlberg has lectured and published widely on wireless networking research, with a focus on resource management, routing, and fault tolerance for hybrid network architectures. More recently, her lectures and publications address novel approaches to education and broadening participation, with a focus on preparing global-minded science and engineering innovators and leaders. New York City, under the leadership of Mayor Michael R. Bloomberg, is evolving a science eco-system as a world center for innovation. Dr. Dahlberg will ensure that The Cooper Union’s Albert Nerken School of Engineering secures a solid leadership position in engineering and science and continues to be a major resource for development of the highest level of education and invention in the 21st Century. Please join me in welcoming her to The Cooper Union and to New York City. I would like to thank the School of Engineering Search Committee for their tireless work in identifying a strong slate of candidates. Finally, I would like to acknowledge Acting Dean Alan Wolf and Acting Associate Dean George Delagrammatikas for their enormous commitment and extraordinary leadership of the Nerken School of Engineering over the past year.